Reached by climbing to the Jellicoe Ridge opposite Waimakariri Falls Hut. Take the most direct route possible, slowly sidling southwards to gain the South East Ridge and then the summit. Avoid contact with it’s North Ridge (i.e. avoid the two snow slopes running west off the Mt Rolleston’s South West Ridge). 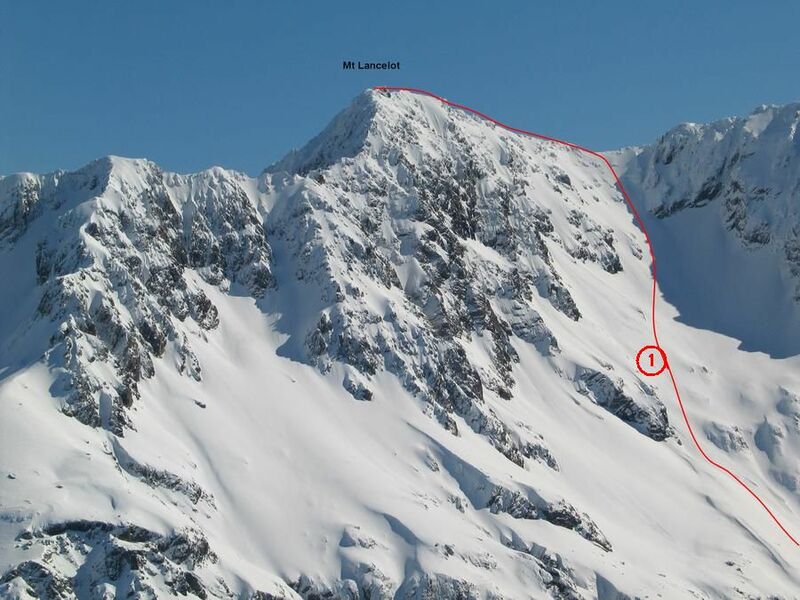 Mt Lancelot can be attempted by the North Ridge (Jellicoe Ridge) which links it to Mt Rolleston. 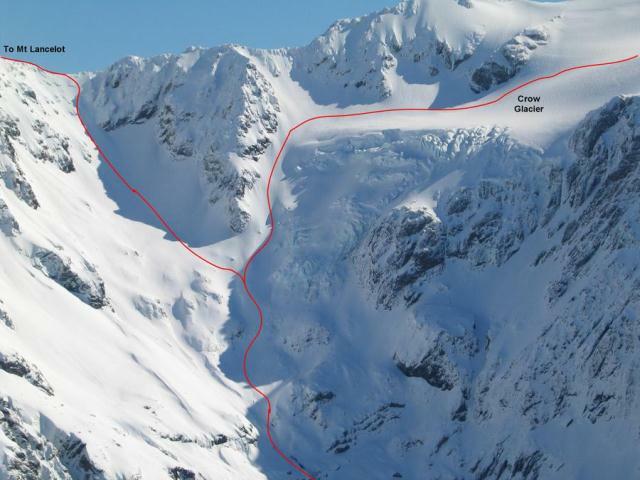 The ridge is easily gained directly above Waimakariri Falls Hut, however it will be found to be a climb to remember – it is a difficult climb with no protection on some slabs and around the gendarmes. Follow the Crow glacial approach (route 5.1) towards Mt Rolleston as far as the terminal face of the glacier, then turn west and climb to the North Ridge and on to the peak. This ridge has some extremely steep unprotected climbing, and should only be tackled in summer conditions.